*** THIS GUIDE IS NOW OUTDATED – Check out the Definitive Guide to Hosted UniFi instead! 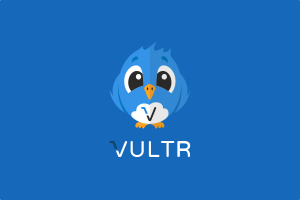 Vultr is a great hosting platform that is very similar to Digital Ocean. I have heard a lot of really good reviews from folks who use Vultr for their production systems, so I set out to create a full set of instructions for the installation of a Vultr-hosted UniFi Controller running on Ubuntu 16.04. Before we dig into creating our UniFi Controller, let’s take a quick detour to ensure that Two Factor Authentication (2FA) is set up on your Vultr account. If you don’t have it already, you should go to the Apple App store or the Google Play Store to download the Google Authenticator app. Select ‘Google Auth’ from the dropdown box and then click the ‘+’ symbol to add Google Authentication as your 2FA method. This will bring up a QR code that needs to be scanned with the Google Authenticator app. Once you’ve scanned the QR code, click ‘Continue’ to continue. When you click continue, you will be asked to enter in the 6 digit code from Google Authenticator for your Vultr account. 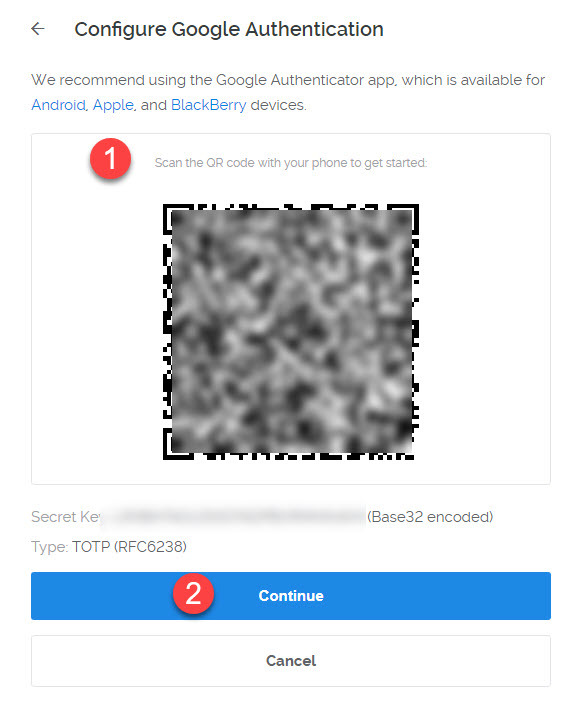 Enter that code and click ‘Enable Google Authentication’ to finish the 2FA setup. Done! 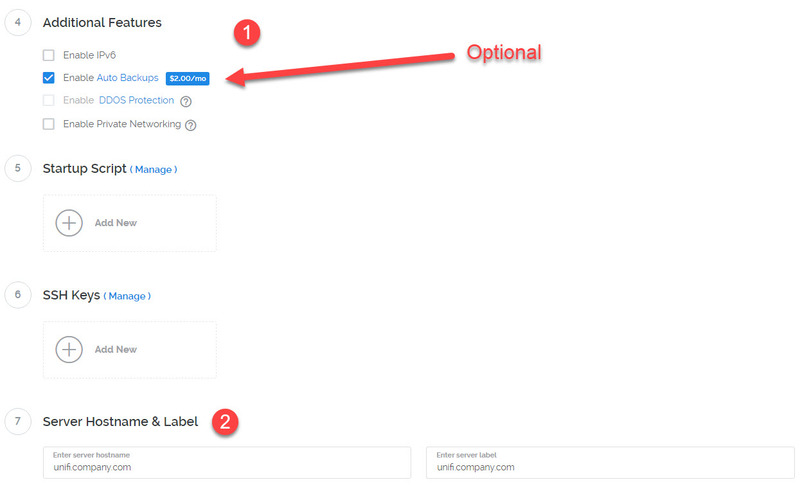 You will now be prompted for this 6 digit code when logging into Vultr. Onto the UniFi Controller setup! Click on ‘Servers’ from the left hand menu followed by the blue circled ‘+’ symbol in the upper right. This will bring you to the new server setup page. The first step of the server creation is to select your location. Pick whichever data center you want – I however, tend to choose the data center closest to my (or my client’s) geographic location. In this case, I’m going to pick Seattle. The next step is where we select our server type. Click on Ubuntu and choose ‘16.04 x64’ from the drop-down. *** Tech note: You may be asking “Why not the latest and greatest Ubuntu 18.04? ?” Well, as of the writing of this blog post, UniFi still does not install properly on Ubuntu 18.04 without downgrading the default version of MongoDB. So, until Ubiquiti standardizes on the latest version of Mongo, I prefer to stick with the OS I know works great right out of the box. That being said though – this same process should work fine on Ubuntu 18.04 given the extra step of downgrading the database. Next, select your server size. UniFi will run on anything in the $3.50/month size or higher. For testing purposes, the $3.50/month tier is fine. For a production system with only a few sites, the $5.00/month tier would be the best option, and then scale up from there. Finally, you can select any options (Auto Backups are highly recommended for a production server), and then give your server a hostname. Hostname should be something like unifi.company.com. You will then want to follow up and create a DNS A-record that points the FQDN hostname you create to the IP address of the Vultr server. Using an FQDN to inform your UniFi equipment is best practice to ensure that you can migrate later on down the road without much issue. Startup script and SSH Keys can be left blank. Click ‘Deploy Now’ and you’re off to the races! You are taken back to the server summary screen. It will take 1-2 minutes for the server to spin up, so be patient. Once the ‘Status’ changes from ‘Installing’ to ‘Running,’ you should wait about another 30 seconds, and then you’re good to go. Click on the name of your server to see its detail screen. Once the server is in a ‘Running’ state, you’ll see your IP address. Copy or make note of that IP address – we’re going to use it to connect to our new Ubuntu server via SSH. You’ll also want to make note of or copy your default root password. (We will change that password immediately upon logging in). You can show the password by clicking the ‘eye’ icon, or simply copy it to your clipboard by clicking the copy icon. Once you have your login information, open up your favorite SSH program (I prefer to use PuTTY) and connect to the IP address of your server on TCP port 22. In PuTTY, click YES when asked about authentication, and then login with root as the username. When prompted for the password, use SHIFT+INS to paste the password you copied from the Vultr server details. This will prompt you to type in a new password, and then type in the password again to confirm it. Note that this should be a STRONG password, and DO NOT LOSE IT! If you lose this password, you will be locked out of root access to the system. In my case, my username was csherwood, so I typed ‘adduser csherwood’ in PuTTY. You will be prompted to enter a password twice, and then prompted for additional information (which you can skip through). Once you get to the confirmation, press Y to confirm, and your new user is created. This adds your newly created username to the sudo group. Once SSH has been restarted, close PuTTY and then re-launch it. This time, when you enter in your Droplet’s IP address, make sure you also change your port number to the SSH port you changed in the SSH config file. When prompted with ‘Login as:’ also remember to use the username you created instead of root – since root no longer has access to log in via SSH. and then enter your root password to become root again and finish off your configuration. This turns on the firewall, and you’re good to go. If you did anything wrong, it is entirely possible that you just locked yourself out of your own virtual server…but no worries! Just go back to your Vultr dashboard, destroy your server, and start over. Great practice, and a good learning experience! A pink bordered window will appear – select your geographic area (use America for United States) and then select your city/time zone from the list. You can press TAB, arrow keys, and SPACE to move around these screens and make selections. Once your time zone has been selected, press OK, and you’re done with Step 6. Run the following commands to create and use a swap file. This allocates 4GB as a swapfile in the /swapfile directory. 4GB is fine for the $5.00 tier, but if you are on the $3.50 tier, you may want to make this 2G instead. Sets permissions on the swap file directory. Formats the swap file directory for use as a swap file. Tells the server to use that directory as a swap file. If that line exists in the /etc/fstab file, you’re all good. This process will usually take a few minutes to complete. Press OK followed by YES when prompted. Next we finally get to install UniFi. This will take a couple of minutes to complete, but once it has finished, UniFi is installed! Or, connect up your smart phone and use the UniFi SDN app – it works great! How many sites (controllers) can you have? Hi Chris, i tried to install SSL Certificate using your referral link on NameCheap. I Followed step by step your guide for Unifi on VULTR Ubuntu 16.04. Then i tried to install the SSL Certificate using you other Blog Post about SSL installation on UNIFI. So my question is, have you already tried to import a certificate with NameCheap on a VULTR Ubuntu 16.04 with Unifi Controller ? Because maybe there is some problem with this particular version of Ubuntu, Unifi Controller, JAVA or something else.